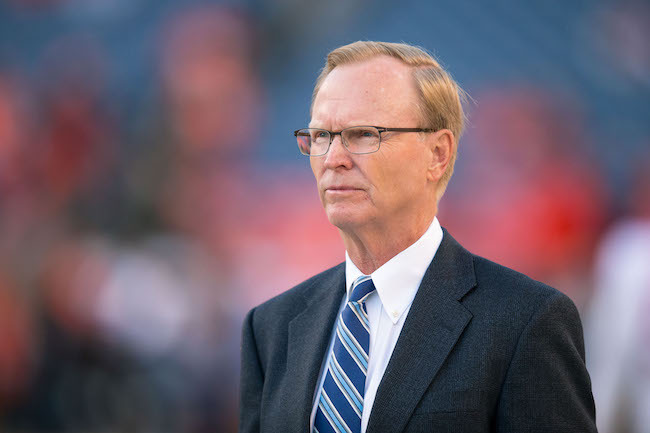 New York Giants President/CEO John Mara addressed the media on Wednesday to discuss the team’s decision to bench quarterback Eli Manning in favor of Geno Smith. The transcript of Mara’s press conference is available in The Corner Forum. New York Giants cornerback Janoris Jenkins has been placed on Injured Reserve with an ankle injury that has nagged him most of the season. He aggravated the injury on his touchdown interception return against the Washington Redskins on Thanksgiving. The NFL Network is reporting that Jenkins will reportedly undergo ankle surgery today and that the recovery process is expected to be three months. To fill that roster spot, the Giants signed defensive tackle Khyri Thornton. The 28-year old, 6’3”, 315-pound Thorton was originally drafted in the 3rd round of the 2014 NFL Draft by the Green Bay Packers. He has spent time with the Packers (2014), New England Patriots (2015), and Detroit Lions (2015-2017). He was suspended for the first six games of the 2017 season for violating the NFL’s substance abuse policy. The Lions cut him on November 21. Thorton has played in 23 regular-season games with six starts (those starts all coming in 2016 with the Lions). The Giants may also be activating defensive end Romeo Okwara from Injured Reserve shortly. The team changed the status of reserve injured/designated for return. Okwara was placed on Injured Reserve with a knee injury that he suffered in practice in October 2017. The Giants have also waived J.T. Thomas off of Injured Reserve. The Giants placed Thomas on Injured Reserve in late September 2017 with a groin injury. Thomas was originally drafted in the 6th round of the 2011 NFL Draft by the Chicago Bears. The Bears waived him in August 2013 and he was claimed off of waivers by the Jacksonville Jaguars. The Giants signed Thomas in March 2015. In 2015 with the Giants, Thomas played in 12 games with 11 starts, missing four games with an ankle injury. The Giants placed Thomas on Injured Reserve in September 2016 after he suffered ligament damage to his left knee in the regular-season opener. Offensive lineman Justin Pugh (back), defensive tackle Damon Harrison (elbow), and linebacker Jonathan Casillas (neck/wrist) did not practice on Wednesday. Linebacker B.J. Goodson (ankle) practiced on a limited basis. The New York Giants practice on Thursday at 12:20PM. The team’s coordinators and select players will also address the media after practice.